This is TULA 45 ACP 230 grain full metal jacket ammo. It's some of the most bang for the buck you'll find on the planet and offers a ton of range time for the money. 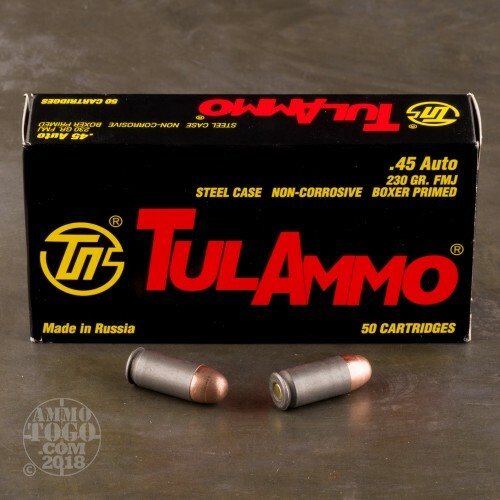 This 45 Auto ammo is manufactured in Russia. It has a polymer steel case and a bi-metal jacket. 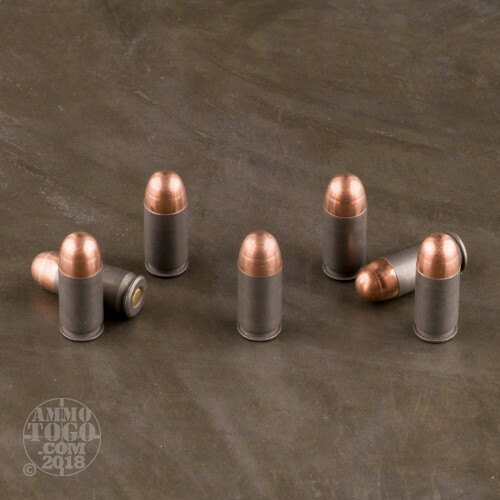 Generally, steel-cased ammo is not considered reloadable so if you are typically one to pick up your brass and reuse it, you may want to steer clear of this ammunition. 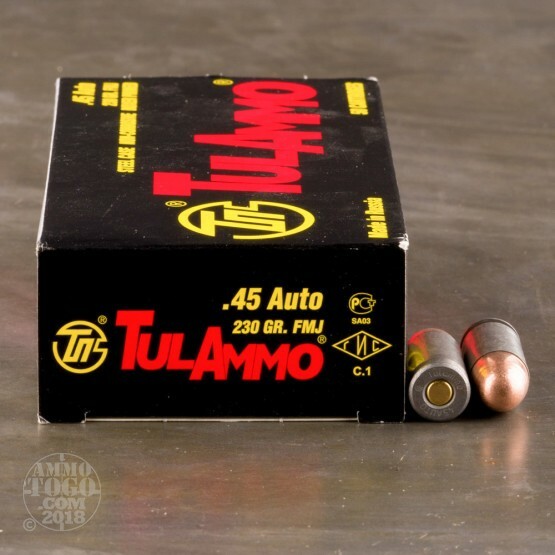 This bulk 45 ACP ammo comes packed in 50 round boxes with 500 rounds per case. I have shot thousands of rounds thru my Sigs and Glocks and surplus military rifles.....not perfect but damn near. Unless you reload...you can't beat the price and reliability. 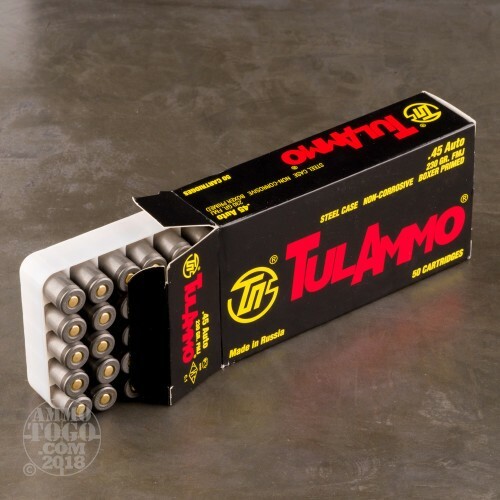 Great range ammo for a great price. Shot it from my 1911 and Glock 30 with no issues. Great price for range ammo, no ejection or jams in my 1911, good grouping every time. MY SON AND I BOTH HAVE GLOCK MODEL 21 AND NO PROBLEMS AT ALL. WE DONT RELOAD AND THE STEEL JUST GOES AWAY. Shot this ammo through a Colt .45 Officer's model and a Hi-Point 4595 Carbine...it worked flawlessly. I had no problems with loading magazines for either of these firearms. I recommend this for practice and daily use. I received this as a birthday gift and liked it so well I bought more. The down-side of this ammo is the non-reloadable steel cases. This was the worst ammo. The shells were too large and stuck in the magazine. Stay away from this, don't be fooled by the price.